Don't they look like artichoke flowers? Today, let me present you a light, fresh, refreshing & simple recipe. Slightly tangy, slightly sweet is my kind of treat. This KIWI & LIME MASCARPONE CREAM TART is perfect for a quick afternoon tea time snack or maybe a weekend tea session. 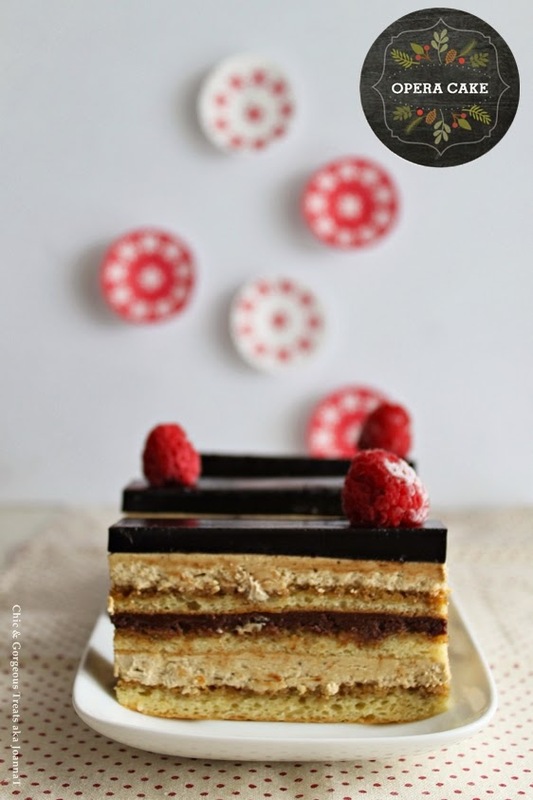 Opera Cake & Chic & Gorgeous Treats is back! After a long dissertation, which seemed forever; I do have a valid reason. This year 2014 had been a tough but fruitful year. Long story short, I was going through changes at work, like role changes, new team, new processes etc. So I made a really tough decision, where I decided to place my blogging on hold for a moment, while I figure out what do I do with my work-life balance. It may not necessary be a wise decision, however, throughout the months, I found what I would love to focus in the coming year 2015. I am excited that I don't think I can contain it any longer in myself.